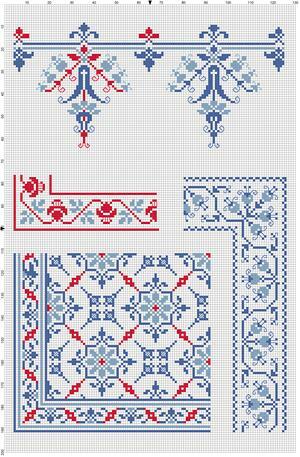 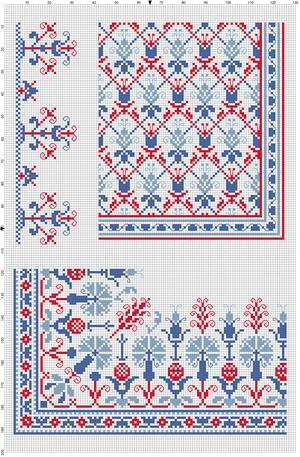 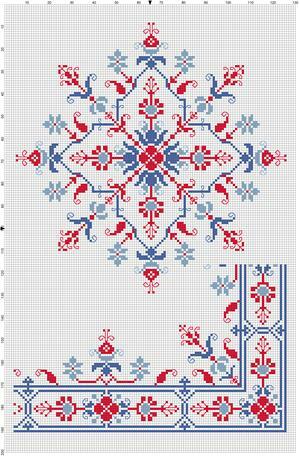 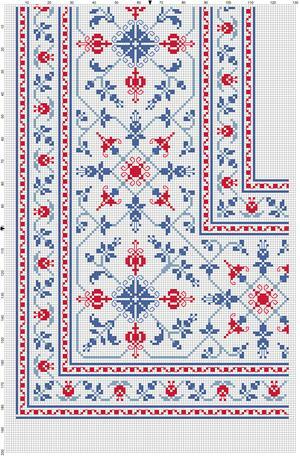 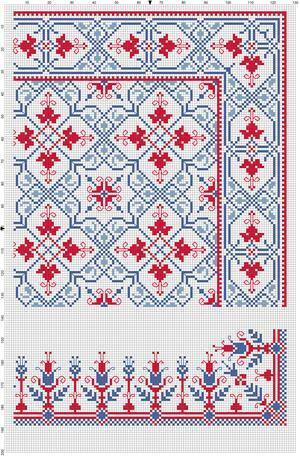 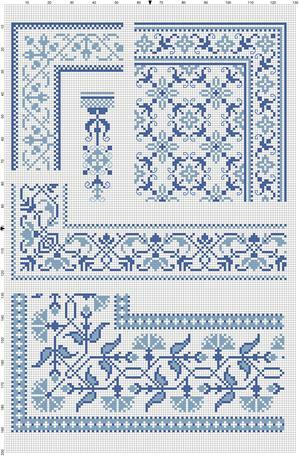 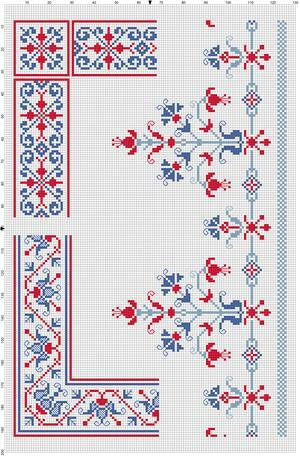 The second album of traditional charted patterns for cross-stitch from Toni Teschendorff. 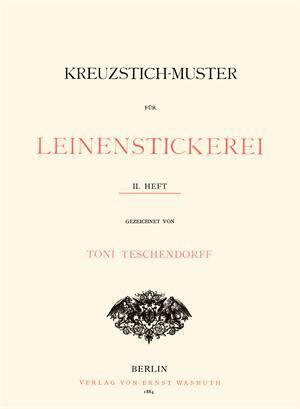 A folder with ten lithographed plates. 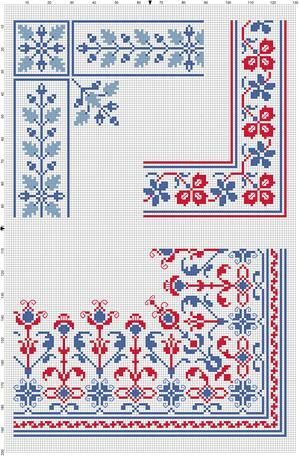 Designs for borders (most with corners), centers, all-over designs, and insertions. 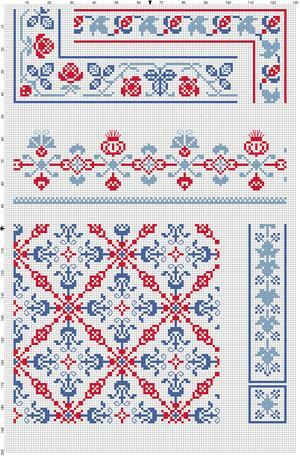 Presented in two colors of blue and one of red, with some straight stitches. 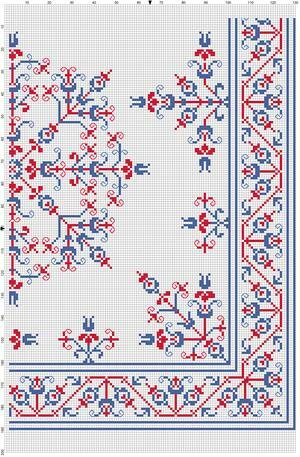 Scanned and published by permission of the Rijksmuseum Amsterdam, charted by Sytske Wijnsma.